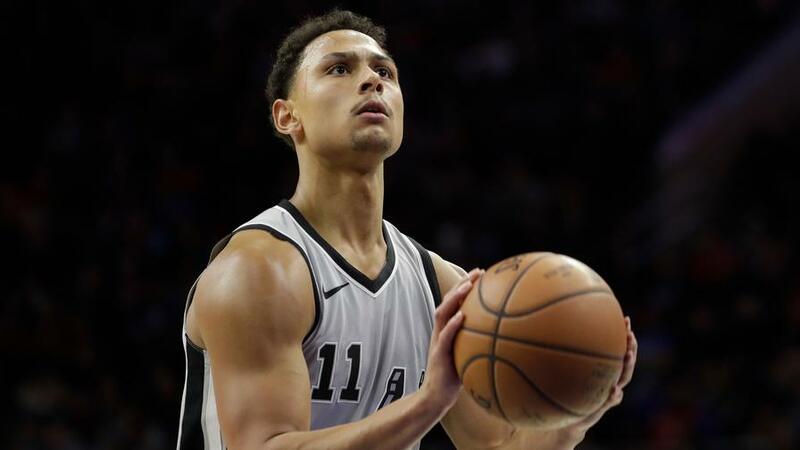 Bryn Forbes could see a lot of early minutes in the absence of Dejounte Murray and Derrick White. Which other waiver wire adds should be on your radar in Week 1? 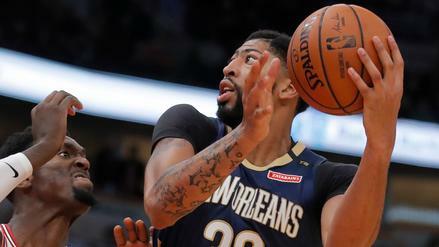 The NBA regular season doesn't get underway until Tuesday, but it's never too early to hit the waiver wire in fantasy hoops. Maybe you regret one of your late-round draft picks. Is it possible that you auto-drafted the wrong Curry? Perhaps some up-and-comer got your attention during one of the final preseason tuneups. Either way, just because you drafted in the last couple of weeks doesn't mean you're locked into that group of players for Week 1. Here are some guys with relatively low ownership percentages that should at least be on your watch list as the season gets underway. Jeremy Lamb basically ran away with the starting shooting guard job for the Charlotte Hornets this preseason, with Nicolas Batum shifting to small forward. Lamb started all five preseason games for Buzz City, averaging 11.2 points, 1.6 three-pointers, 4.2 rebounds, 3.0 assists, 0.4 steals, 0.6 blocks, and 1.6 turnovers in only 22.6 minutes per contest, while shooting 43.2% from the field and a perfect 10-for-10 from the free throw line. Lamb managed to rank 104th in nine-category leagues last year, despite mostly coming off the bench and playing only 24.6 minutes per contest. With a new starting job and a fantasy line that doesn't really hurt you in any one area, he could be in for a breakout season. 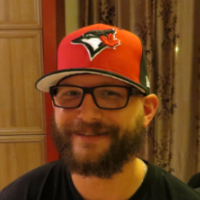 If you drafted someone droppable, Lamb should be far more owned than his 45% rate on Yahoo. Patrick Beverley has finished inside the top-100 in nine-category leagues on a per-game basis in each of his last five seasons. Sure, he's missed a ton of games each and every year, but when he is actually on the floor, he's well worth being owned. For now, Beverley is healthy and playing without restrictions, and entering the season as the starting point guard for the Los Angeles Clippers. In his last (relatively) healthy season in 2016-17, he averaged 9.5 points, 1.6 triples, 5.9 rebounds, 4.2 assists, 1.5 steals, 0.4 blocks, and 1.5 turnovers in 30.7 minutes per contest over 67 games, while shooting 42.0% from the field and 76.8% from the line. If you can find his strong threes, rebounds, assists, steals, free throw percentage, and turnovers elsewhere on the wire, have at it. Otherwise, get Pat-Bev and his mid-round upside while you can. Montrezl Harrell is most likely behind Marcin Gortat for the Clippers' starting center job, but it's worth noting that Gortat only played 25.3 minutes per game for the Washington Wizards last year, as compared to DeAndre Jordan's 31.5 for the Clippers. If Harrell manages to absorb that extra six minutes of playing time with the Clippers' switch in starting center, he has the kind of skill set that could produce top-100 fantasy returns, even in a bench role with minutes in the mid-20s. In five preseason games and a mere 18.5 minutes per contest, Harrell averaged 12.4 points, 6.0 boards, 1.2 assists, 0.2 steals, 1.2 blocks, and 1.0 turnover, while shooting 65.8% from the field and 57.1% from the free throw line. Once he's getting a regular complement of minutes, he could be a valuable big man in standard leagues. And if this is the year that the 34-year-old Gortat drops off entirely, Harrell's ceiling goes even higher. Caris LeVert had a solid preseason, averaging 14.8 points, 1.8 threes, 4.3 rebounds, 4.3 assists, 1.8 steals, 0.0 blocks, and 4.3 turnovers in 28.4 minutes per contest, while shooting 42.6% from the field and 85.7% from the line. Putting up those kinds of numbers on a nightly basis this season would result in late-round value for the third-year guard. He started every preseason game for the Brooklyn Nets, so it's safe to assume that he'll remain there going into the year. That kind of volume with a chance for points, threes, assists, steals, and decent percentages makes him at least worth a flier to start the season. Lauri Markkanen will miss the Chicago Bulls' first 20 games or so with an elbow sprain, so Bobby Portis should kick off the season with a noticeable bump in playing time. He won't be a regular starter, since he has to share the frontcourt with Jabari Parker, Wendell Carter Jr., and Robin Lopez, but he performed just fine coming off the bench last season and should again. Over the last month of the 2017-18 campaign, for instance, Portis was the 105th-ranked player in nine-category leagues in only 24.3 minutes per contest, averaging 13.9 points, 1.4 threes, 7.8 rebounds, 1.4 assists, 0.9 steals, 0.5 blocks, and 1.8 turnovers, and shooting 47.9% from the field and 63.6% from the line. What's more, he's coming off a solid preseason, in which he averaged 17.0 points, 1.0 triple, 5.8 boards, and 1.2 steals in 22.4 minutes a night. Portis might never have the space in the Bulls frontcourt to truly crush it for your fantasy team, but he's solid enough to warrant a higher level of ownership. Markieff Morris is not the sexiest fantasy asset, but he's finished in the top-100 in nine-category leagues three of the last five seasons and remains the starting power forward for the Washington Wizards. Over the last three months of last season, 'Kieff was the 97th-ranked player in nine-category leagues, averaging 12.5 points, 1.1 threes, 5.7 rebounds, 2.6 assists, 0.9 steals, 0.6 blocks, and 1.8 turnovers in 28.7 minutes per contest, with a shooting split of 48.8% from the field and 81.3% from the line. It'll be interesting to see how he pairs with newcomer Dwight Howard in the frontcourt, but he's worth an add for his solid all-around line while he figures it out. 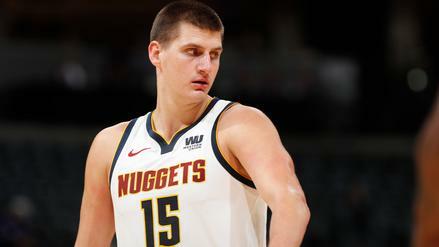 Alex Len was pretty much a bust over his five years with the Phoenix Suns, and now he's looking for a fresh start with the Atlanta Hawks. He'll get his opportunity at the beginning of the season at the very least, since the Hawks' regular starting center, Dewayne Dedmon, is nursing an ankle sprain, and Len is set to take his place. In 13 starts for the Suns last year, Len averaged 10.8 points, 8.8 rebounds, 1.4 assists, 0.5 steals, 1.7 blocks, and 1.4 turnovers in 25.8 minutes per contest, while shooting 60.0% from the field and 63.5% from the line. If you whiffed on centers in your draft, and you're looking to grab some cheap boards, blocks, and field goal percentage for Week 1, Len is sitting there and waiting on 75% of Yahoo waiver wires. Harry Giles had a serviceable preseason for the Sacramento Kings, scoring in double figures in five of his six games played. Over that span, he averaged 13.3 points, 0.3 threes, 5.7 rebounds, 2.3 assists, 1.0 steal, 0.8 blocks, and 1.5 turnovers in 22.6 minutes per contest, shooting 43.3% from the field and 66.7% from the line. He's behind starters Willie Cauley-Stein and Marvin Bagley III up front for the Kings, but we're only a few injury-plagued years removed from when Giles was one of the top prospects in the game. If you have room on your roster, he's a premium stash candidate, as he's plenty talented and there are no surefire stars on the Kings' roster to block him from production. Rookie Miles Bridges had a fairly effective preseason, averaging 12.4 points, 1.8 triples, 6.0 rebounds, 0.8 assists, 0.6 steals, 0.7 blocks, and 0.8 turnovers in 24.8 minutes per contest, while shooting 55.6% from the field and 42.9% from the line. He'll start the season behind the likes of Nicolas Batum and Michael Kidd-Gilchrist on the depth chart, but he has earned a decent helping of minutes in his rookie campaign. Adding Bridges is more of an upside stash in deep leagues for now, but keep him on your watch list for the immediate future. 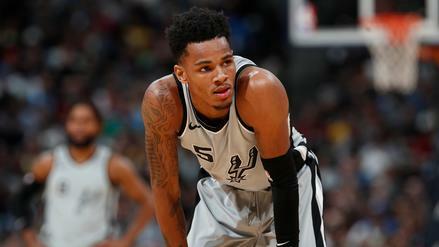 Dejounte Murray was one of our top sleepers heading into this year before suffering a torn ACL in the preseason. Derrick White looked set to take over as the team's starting point guard, but then he went and hurt his heel. Patty Mills would be a likely candidate to take over, but Bryn Forbes got the start in the San Antonio Spurs' preseason finale and seems to have the job for now. Turns out the Spurs are going to miss Tony Parker even more than they initially thought. Forbes hasn't shown us much in two NBA seasons, but the Spurs have a way of turning nobodies into somebodies, so he's at least worth a flier in deep leagues based on his role, minutes and potential volume in San Antonio.